The main reinforcement of Niobium is solution treatment, precipitation and heat treatment. 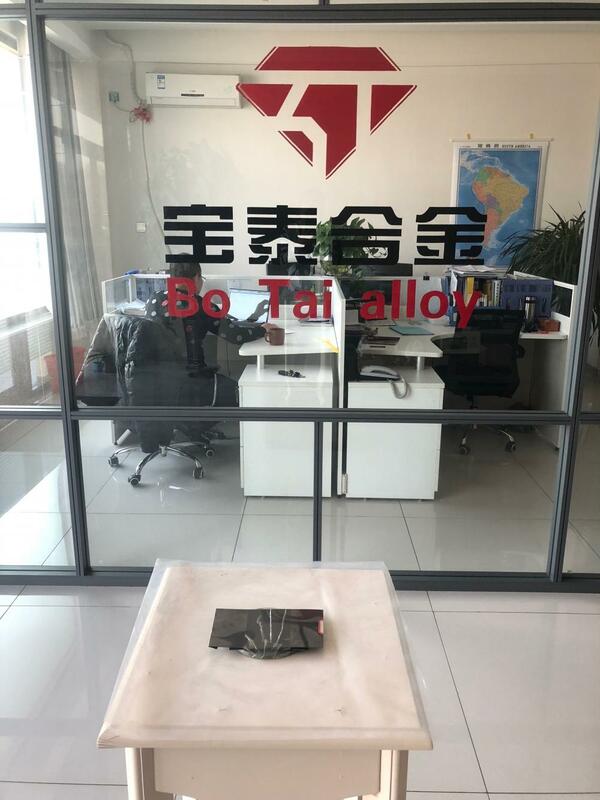 In niobium alloys, containing alloying elements tungsten and molybdenum can significantly increase the high temperature and low temperature strength, but the content is too much will reduce the Alloy performance. Tantalum is a medium strengthening element and can reduce the ductility-brittle transition temperature of the alloy. Another way to strengthen the Niobium Alloy is to add Titanium, zirconium and hafnium and a certain proportion of carbon to form a dispersed carbide phase for precipitation strengthening. In addition, these active elements can also improve other properties, such as titanium can significantly improve the oxidation resistance and process performance of the alloy; hafnium and zirconium can improve the resistance to molten alkali metal corrosion; hafnium can significantly improve the oxidation resistance of the alloy and welding performance . High-strength niobium alloys generally contain a large number of solid solution elements (tungsten, molybdenum, tantalum, etc.) for solution strengthening, but also by precipitation strengthening the alloy with high strength (see metal strengthening). Plastic processing of these alloys more difficult, the need to strictly control the deformation process parameters. In addition to the alloy Nb-10W-1Zr-0.1C alloy carbide precipitation hardening phase, the other species is the addition of medium-content solid solution strengthening elements to ensure that has excellent overall performance. Low-alloy as long as the right amount of titanium, zirconium and hafnium, you can guarantee the alloy has excellent processing properties. Looking for ideal Niobium Chemical Properties Manufacturer & supplier ? We have a wide selection at great prices to help you get creative. All the High Purity Niobium Belt are quality guaranteed. We are China Origin Factory of Niobium in Steel. If you have any question, please feel free to contact us.